Finding new forms of exercise for your senior loved one can keep things interesting, and the right workout can address his or her changing needs. Today, Pilates is a popular form of exercise that attracts both younger and older adults because its simple movements produce major benefits. Now that your loved one is interested in working out, consider the following reasons taking up Pilates is good for seniors. 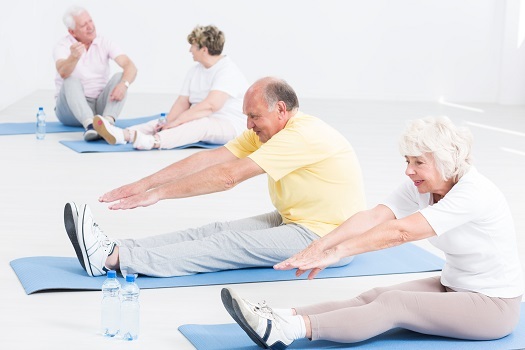 Pilates is a form of exercise that allows seniors to modify their approach to fit their needs. For example, the majority of the exercises can be performed in non-weight-bearing positions, such as lying down. Your loved one can also start with decreased repetitions of certain movements and increase them as he or she gains strength and stamina. Seniors who have serious health conditions, such as those who are recovering from injuries, should start by working with certified instructors who can help them modify their first workouts. For seniors who cannot perform other types of strength training, Pilates provides similar benefits as lifting weights. Many of the exercises are designed to build muscles and place slight pressure on the bones. With this type of bodyweight exercise, seniors are less likely to be injured as they work on building bone mass, which can slow down or prevent osteoporosis. Family caregivers who are creating exercise plans for their loved ones should consider whether their loved ones will need help to exercise safely. Some seniors need occasional assistance at home, and oftentimes the family members who take care of them need time away to run errands, take a nap, go to work, or take a vacation. Carmichael respite care experts from Home Care Assistance are available on an as-needed basis, giving your family peace of mind that your loved one will remain safe and comfortable while you relax or focus on other important responsibilities. Pilates is known for being a great way to strengthen the core muscles that provide support while moving around each day. While your loved one may not be concerned about creating swimsuit abs, he or she can benefit from exercises that target the abdominal and back muscles. As these muscles get stronger, your loved one should feel less pain, and a strong core provides the foundation for proper balance that prevents fall-related injuries. Even if seniors have mobility issues or other health challenges, they can still gain benefits from exercise, especially with the help of a trained professional caregiver. Carmichael in-home care professionals can be a wonderful boon to seniors. Whether they require around-the-clock supervision or just need assistance with exercise and household tasks a few days a week, seniors can enjoy a higher quality of life with the help of trusted in-home caregivers. Although there are videos available to teach the Pilates method, your loved one can enjoy more benefits from taking a class. Pilates classes are beginner friendly, and the relaxed atmosphere promotes a bond among the members. As your loved one starts to make friends in the classes, he or she may gain an emotional boost that makes him or her look forward to the regular workouts. A loss of coordination, stiff or weak muscles, and a lack of balance are a few health issues that affect mobility. Pilates exercises address each of these issues, and seniors who stick with their new program are likely to notice positive changes in their mobility. In fact, Pilates exercises are often incorporated into rehabilitation programs for stroke survivors who need assistance with walking again. Keep in mind your loved one may need help during the first few classes to ensure he or she is doing each exercise correctly. If your loved one has health conditions or mobility limitations that make exercising alone a challenge, help is available. Carmichael senior care experts are available to provide high-quality care to seniors on an as-needed basis. From assistance with mobility and exercise to providing transportation to the doctor’s office and social events, there are a variety of ways professional caregivers can help your aging loved one continue to live independently. If you need professional care for your loved one, reach out to Home Care Assistance today at (916) 485-4663.